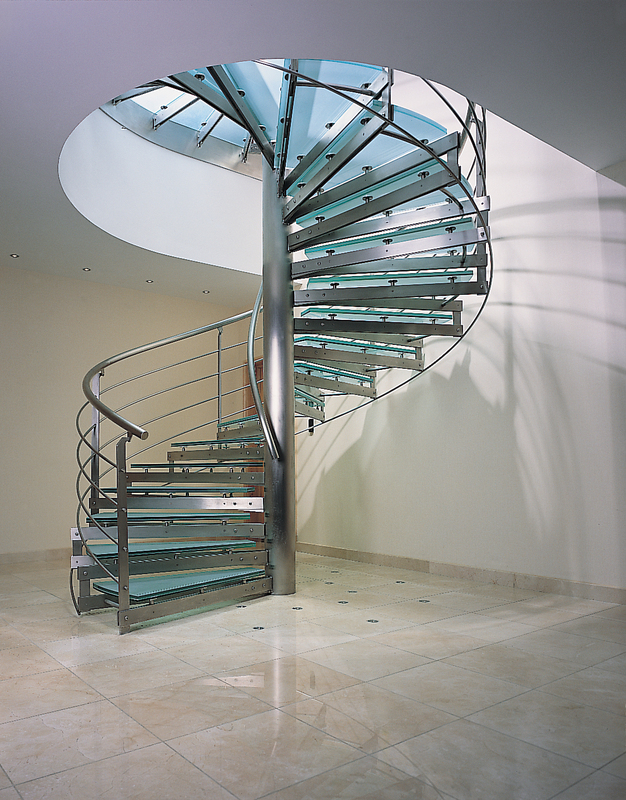 This elegant spiral is just one reflection of the Anne Summers success story. 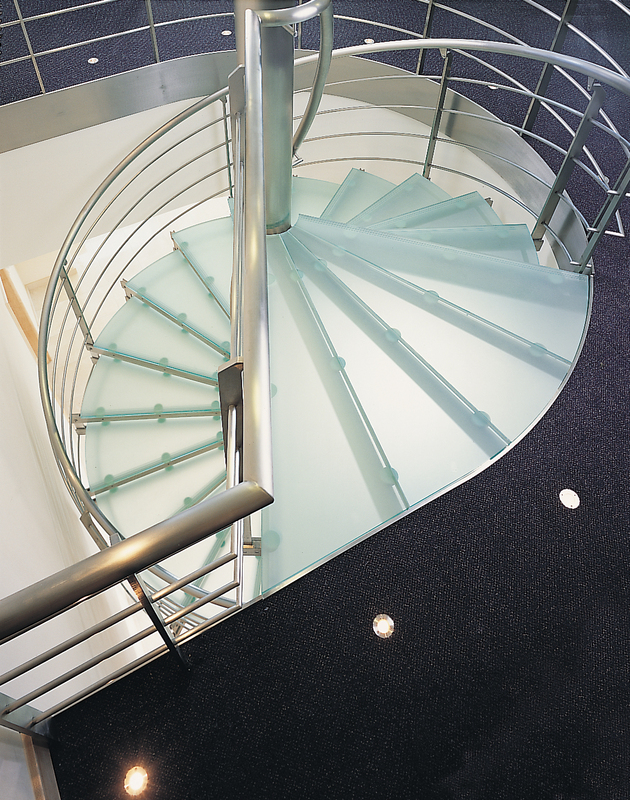 A future of the company’s headquarters it makes extensive use stainless steel to support the sandblasted glass and the tubular handrail with midrail infill. 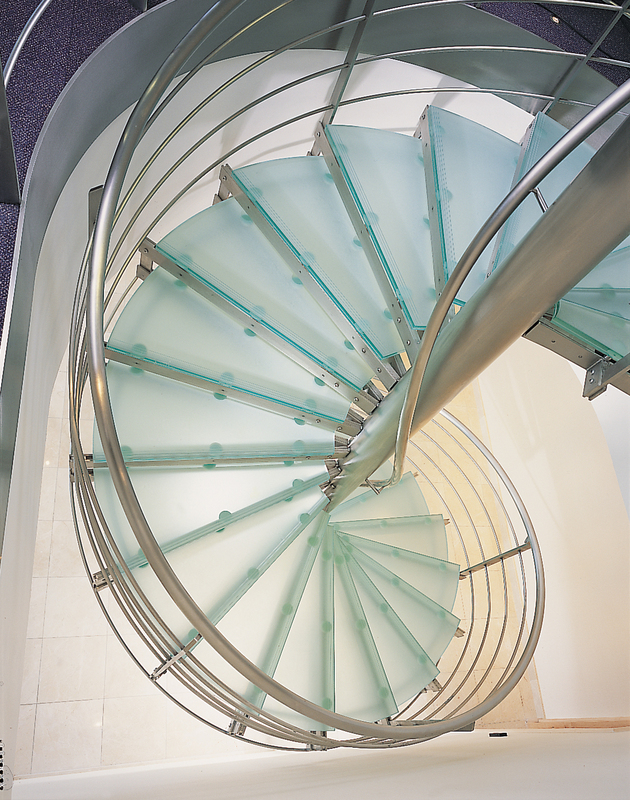 The landing artfully mimics the tread shape when seen on plan, the separate triangular glass sections being supported on radial stainless support in the same fashion as the treads.